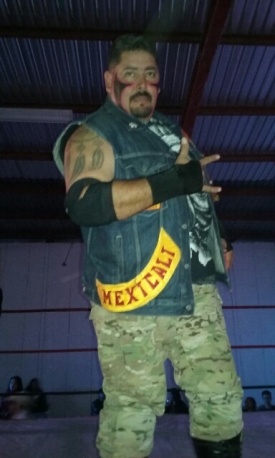 Mexicali based rudo since 1988 he is known for being a powerhouse and a brawler. He has been IWF World Heavyweight Champion with more than 15 defenses against opponents such as Mr. Tempest, Guerrero Rojo, Humilde and more in all over Baja California, Sonora, San Diego and Los Angeles. He was considered by his fellow wrestlers as the best mask maker of Mexicali. This page was last edited on 5 January 2019, at 19:18.